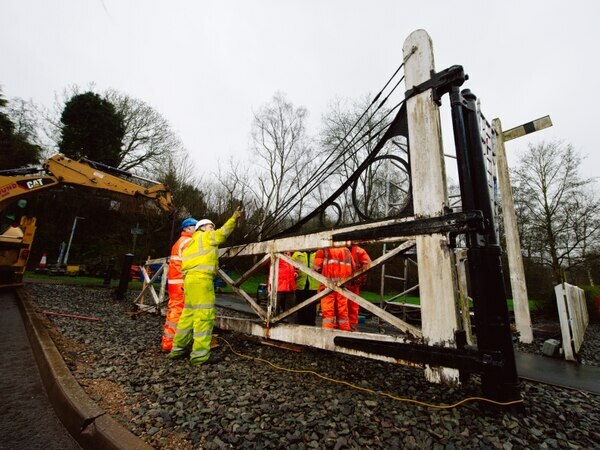 A pair of old railway crossing gates that are part of Ironbridge’s industrial heritage are being taken away for restoration. The Grade II listed gates, located north-west of Calcutts House in Jackfield, were installed in 1862 as part of the Severn Valley Railway, which was opened on January 3 the same year. The railway was taken over by the Great Western Railway in 1863, but has been disused for many years. The gates have remained in situ and have become a local feature. The Gorge Parish Council contacted Telford & Wrekin Council about the poor condition of the gates in September 2015 to see if something could be done to restore them. Engineers went out to assess their condition and last year funding was allocated for the restoration work needed. Small Woods Trust, a local woodlands charity, will be undertaking the restoration of the wooden parts of the gate and local firm J & A Stevenson will be doing the metal work. The gates are being taken to Small Woods’ headquarters to dry out before restoration can begin. Once dried, wood workers will carry out a full assessment of the condition of the gates with a view to keeping as much of the original wood as possible. Councillor Rae Evans, Telford & Wrekin Council cabinet member responsible for tourism, said: "We have been working closely with the parish council to make this happen and I am very happy to see the restoration of these iconic gates now get under way. "They are a piece of Ironbridge’s history and they mean a lot to the residents of Jackfield and the surrounding area. Once all of the restoration work is complete, the gates will be reassembled and painted before going back home to Jackfield. 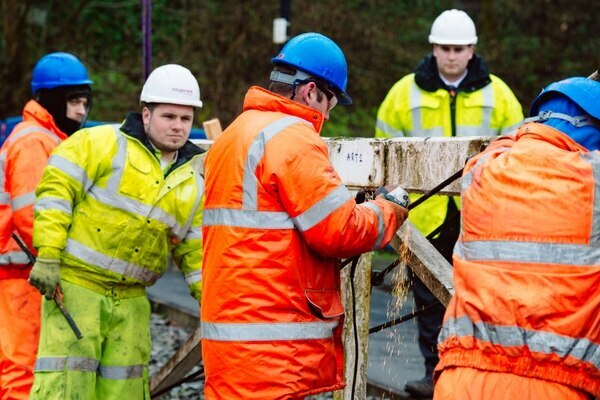 The wooden signal post on site will also be treated and repainted. The entire project is likely to take several months to complete and will depend on how long it takes for the wood to dry out. Project updates will be posted in the Pride in Our Community Facebook group. Councillor Nicola Lowery, who represents the Ironbridge Gorge ward and is shadow cabinet member for tourism, said: "It is fantastic to see this project finally getting underway following on from representations from The Gorge Parish Council and from many people within our community who have been working to ensure the railway crossing gates in Jackfield are restored to their former glory. "I would like to thank the Gorge Parish Council for all their work on this and in particular representations from Councillors Tony Hobson and Maureen Bragg as both have throughout this process continued to maintain the importance of renovating the crossing gates. "Since this was brought to my attention by residents and the Gorge Parish Council we have been working together with Telford & Wrekin Council to ensure the repair works were completed as the gates should not have been allowed to fall into such a state of disrepair. "The crossing gates are owned by Telford & Wrekin Council and are listed assets and therefore the council does have the responsibility of maintaining the assets to an acceptable standard.